On February 26, Dr. Sasha Valentin Pierluissi joined the college as an Assistant Professor-Clinical in the Division of Restorative Science and Prosthodontics. Dr. Valentin Pierluissi earned her DMD degree at the University of Puerto Rico School of Dental Medicine. She continued her education by completing a two-year General Practice Residency at the Montefiore Hospital in New York City, serving as chief resident during the second year. She then earned her specialty certificate in prosthodontics from the University of San Francisco School of Dentistry, followed by a fellowship in Maxillofacial Prosthetics (MFP) at the University of California at Los Angeles School of Dentistry. 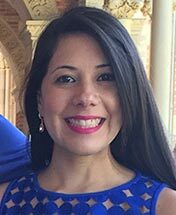 As a member of the college faculty, Dr. Valentin Pierluissi will spend the preponderance of her time at The James Cancer Center, where she will provide all phases of MFP patient care, including radiation patient clearances, stent fabrication, and intraoral/maxillofacial prostheses. The remainder of her time will be spent in the Division of Restorative Science and Prosthodontics as she assumes clinical teaching responsibilities in the college's advanced education program in prosthodontics.